tourists and a constant line was snaking over the ramparts in the blazing sun. 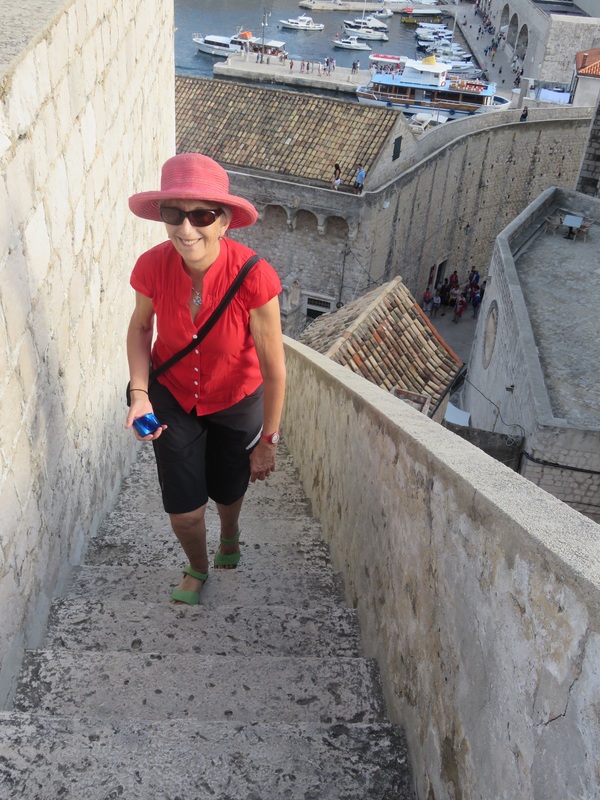 Beautiful as Dubrovnik is, this was not perhaps it’s best look. We returned at 5.30pm as the setting sun was turning the beautiful stone work a creamy yellow and the contrast of red rooves on the od city dwellings provided a greater contrast. 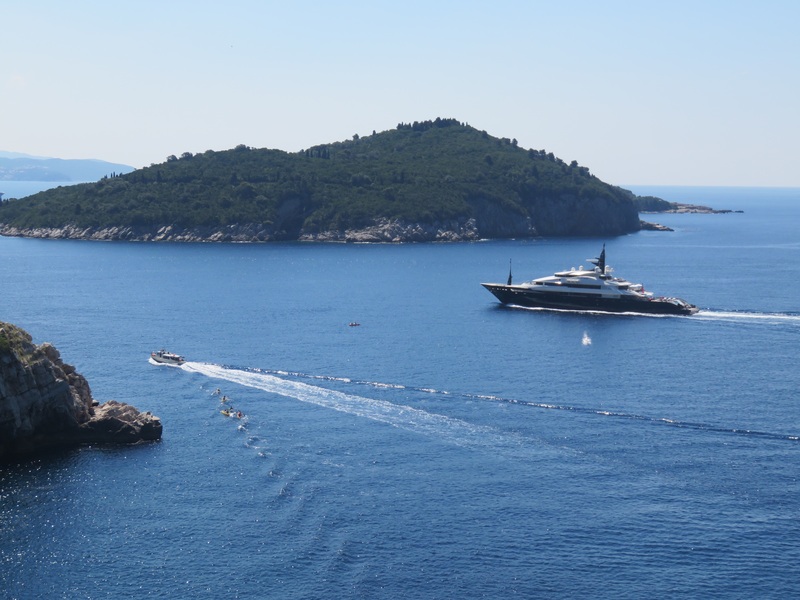 Dubrovnik is perched below Mt Srd, clinging to steep limestone and marble cliffs. 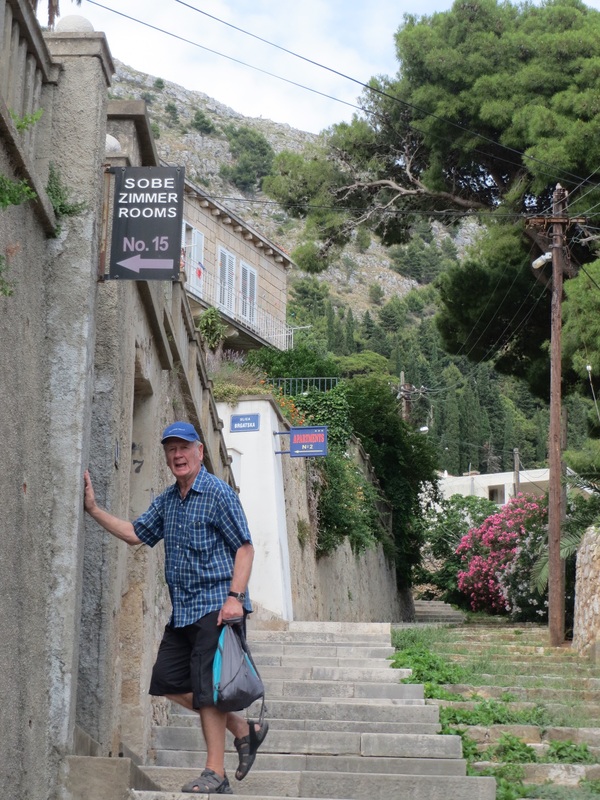 Getting anywhere requires climbing stone staircases. 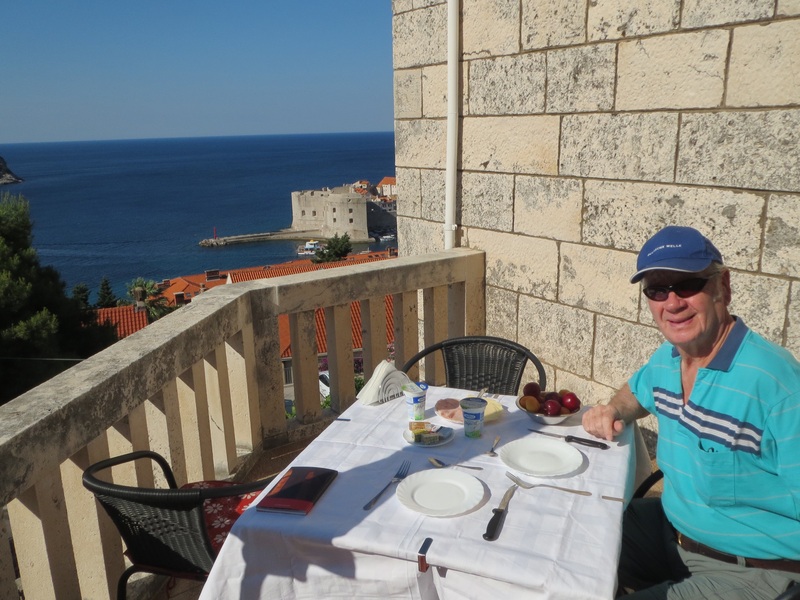 Our home stay was 480 steps from the southern gate of the old town but the views over the Adriatic Sea and the city were magnificent. Our host Jadranka offered us coffee on arrival and we appreciated the homely touch, which extended to breakfast on our last day. 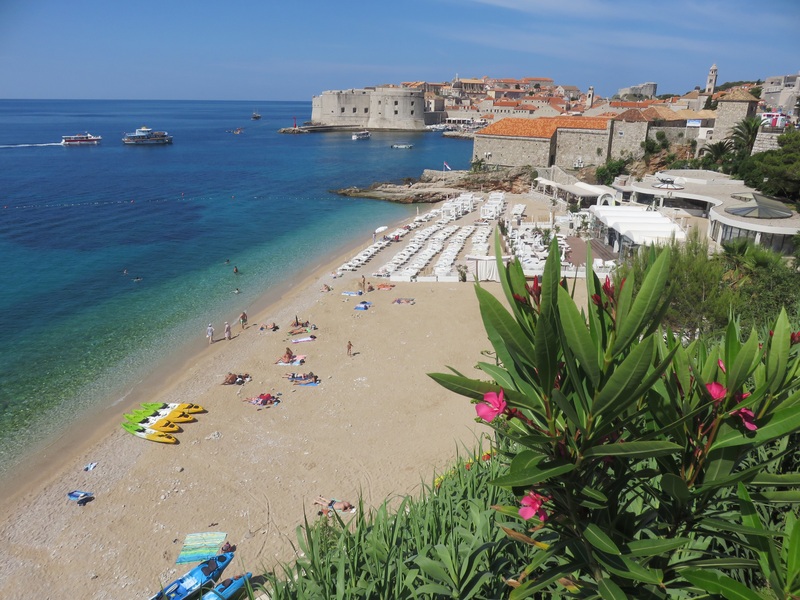 Directly below us was the city ‘beach’ of white stone pebbles but crystal clear water, roped off for swimmers. We were the only ones actually swimming, most others happy to sunbathe or parade along the water’s edge, without a thought to sun protection. 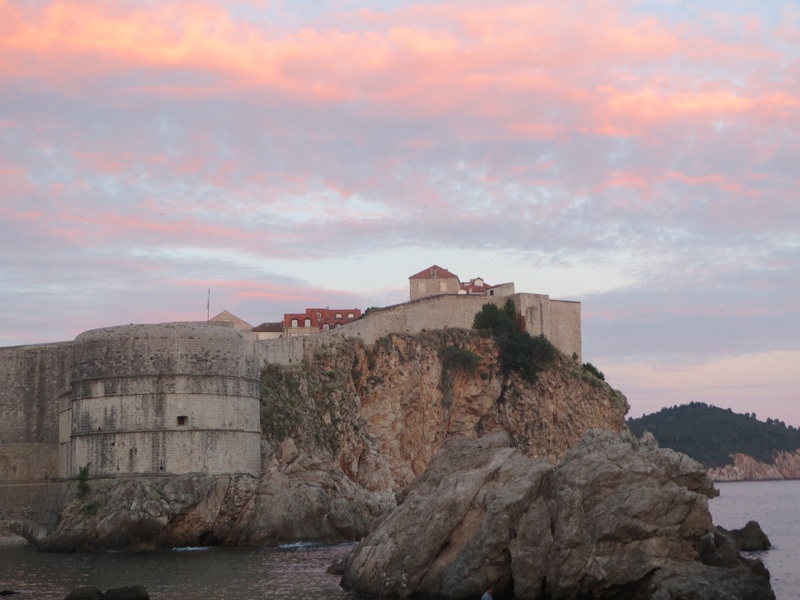 The earliest evidence of settlement in the Dubrovnik area was in the 6th century but the city really prospered after it negotiated independence from Venice, as a city state in the 14th century and became a republic in the 15th century, with an elected Recor and a council of government. An enlightened community, it abolished slavery in 1416 and established one of the first pharmacies, water supply, a quarantine system, as well as a public hospice, orphanage and school. The motto above the Rector’s Palace reads ‘Obliti privatorium – publication curati’ or ‘Forget private affairs, take care of public ones’! 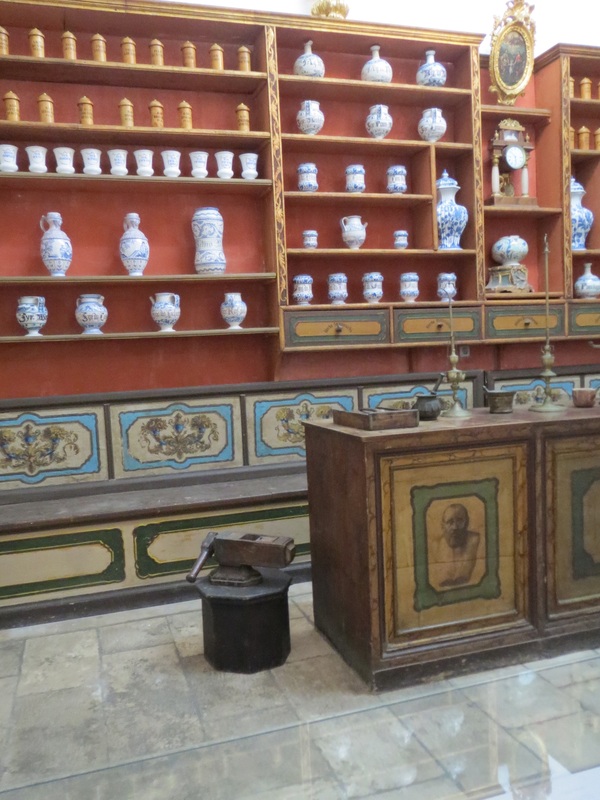 We visited the old pharmacy in the monastery of the Brothers Minor, where we saw a compendium of herbs, some of which, such as rosemary, sage and foxglove were still growing in rocky outcrops on the hillsides. 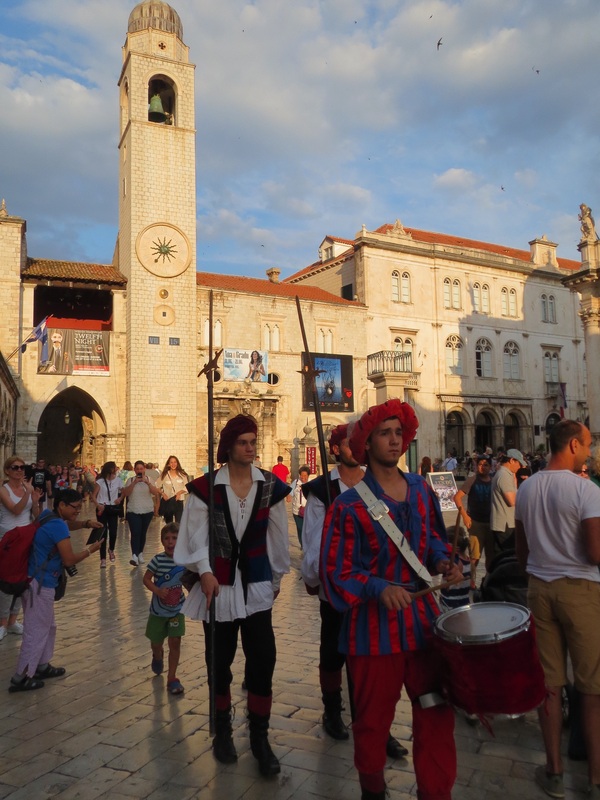 The city surrounded itself with fortifications via the city wall with its 3 forts and Fort Lovrijenac nearby but it also excelled in diplomacy and managed to negotiate with Ottoman Emprie in the 16th century to retain its independence as a trading centre. The motto engraved on Fort Lovrijenac states that ‘Liberty is not to be sold, not for all the gold in the world.’ Only in the 1800’s did the French, under Napoleon and then the Austrian Hapsburgs take precedence, however the city was almost destroyed in 1992, during the Homeland War of independence. There is a cable car to Mt Srd, with even more spectacular views along the coast. 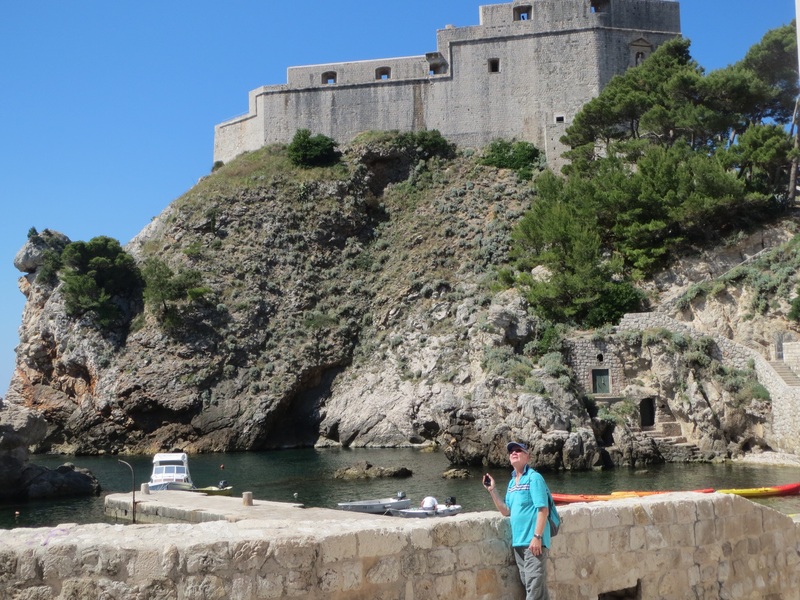 The Srd Fort was built on the mountain top by Napoleon in the early 1800’s and it was from here the Croatian resistance fighters repelled the Serbian army in 1992. An exhibition in the fort showed the shelling of the ancient city and the terror of the residents. 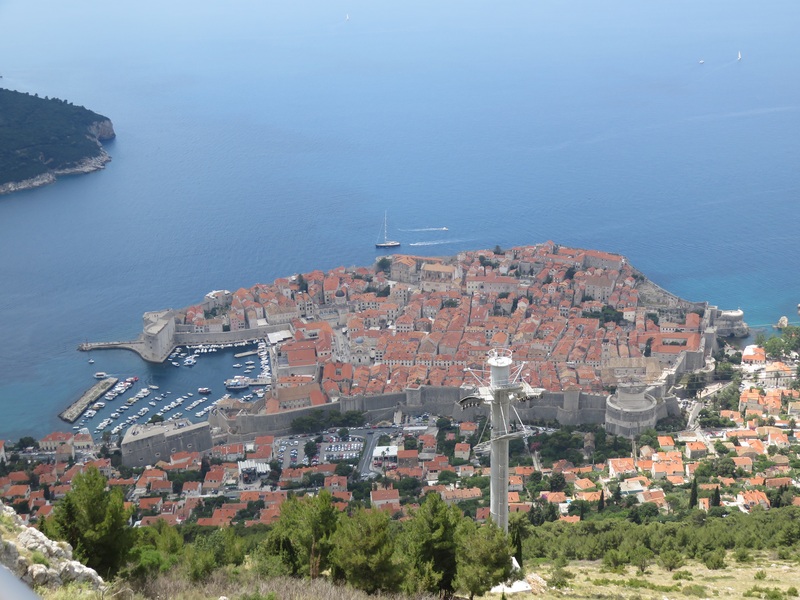 The city walls were built to repel shelling from Middle Age cannons rather than 20th century fire power and it was very clear from this vantage point how many buildings had been rebuilt, the newer red rooves standing out from the older weathered ones. 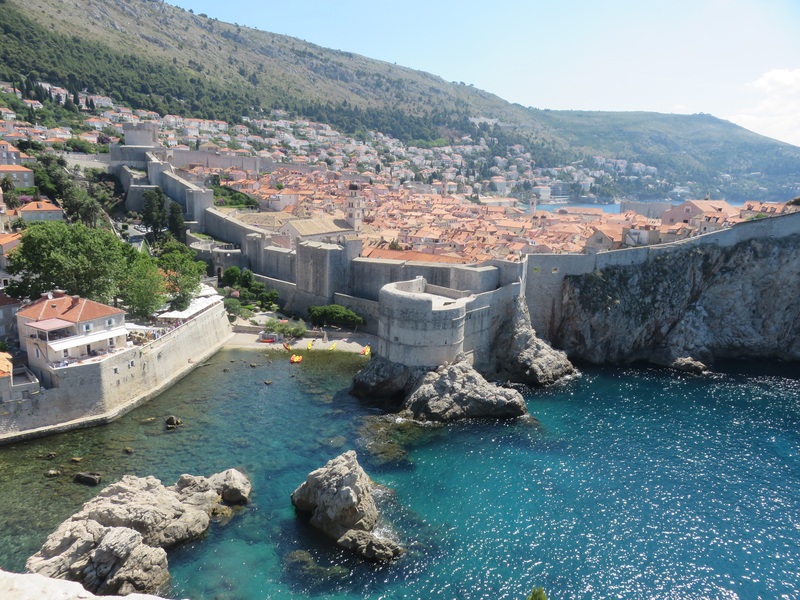 We farewelled Dubrovnik after a waterside fish meal and a chamber concert in the Church of Our Lady, so our memory was of the culture and refinement of this wonderful city.